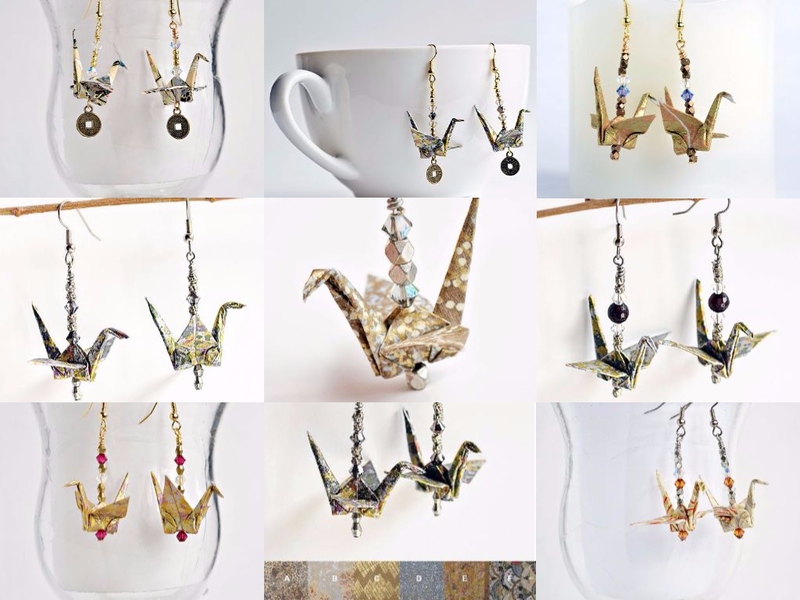 I really enjoy making my origami earrings, especially selecting the papers and complementary Swarovski crystals. 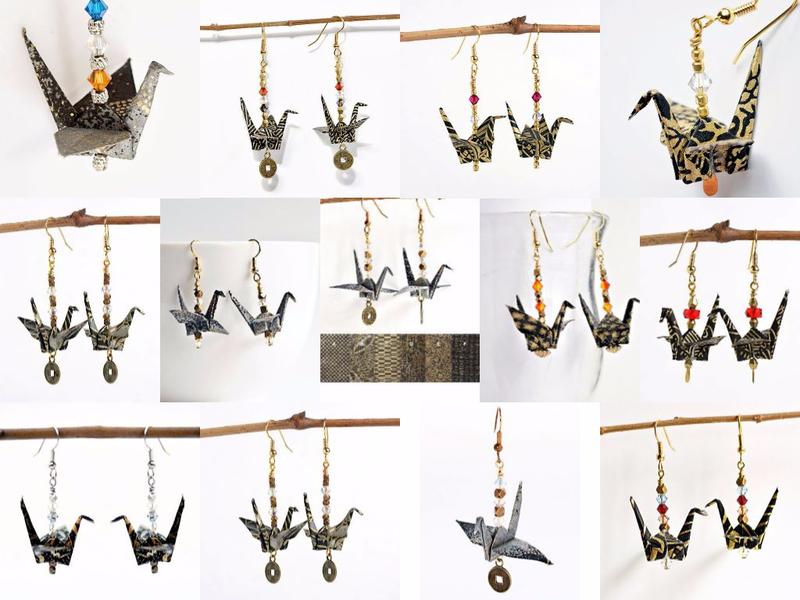 I have designed 57 different pairs of earrings, in six different color families, and six custom earring options. For more details on my earrings, click the link for each color located above the photo collage for that color. I have created 12 different black earrings and a black custom earring choice. Black earrings are a dramatic accessory for evening wear or an everyday choice for those who love to wear black. 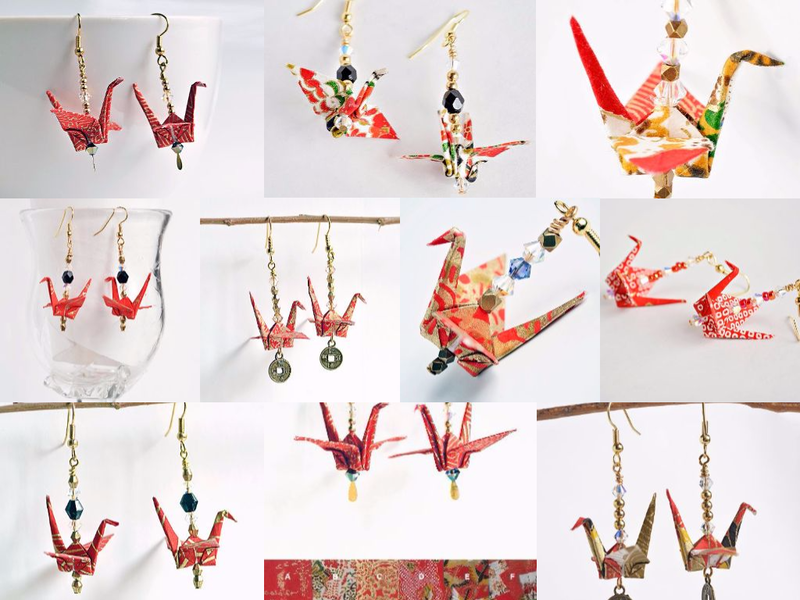 I have designed nine different pairs of red earrings plus a red custom option. Wear red earrings when you want to create a punch of color to brighten up your wardrobe. Red earrings are a popular Valentine’s Day gift. I love blue! 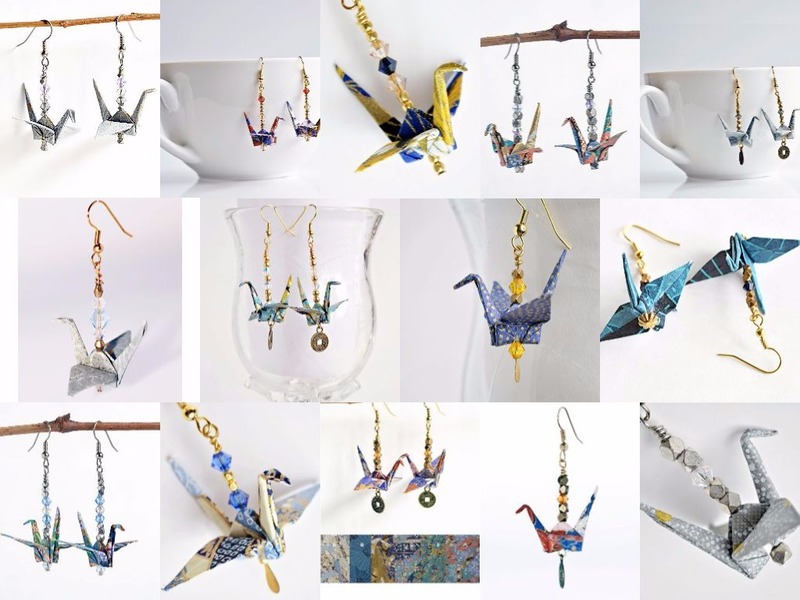 So I have created 13 pairs of blue earrings ranging in color from ice blue to navy. I also have a blue custom earrings option. Blue earrings make great Hanukkah gifts. 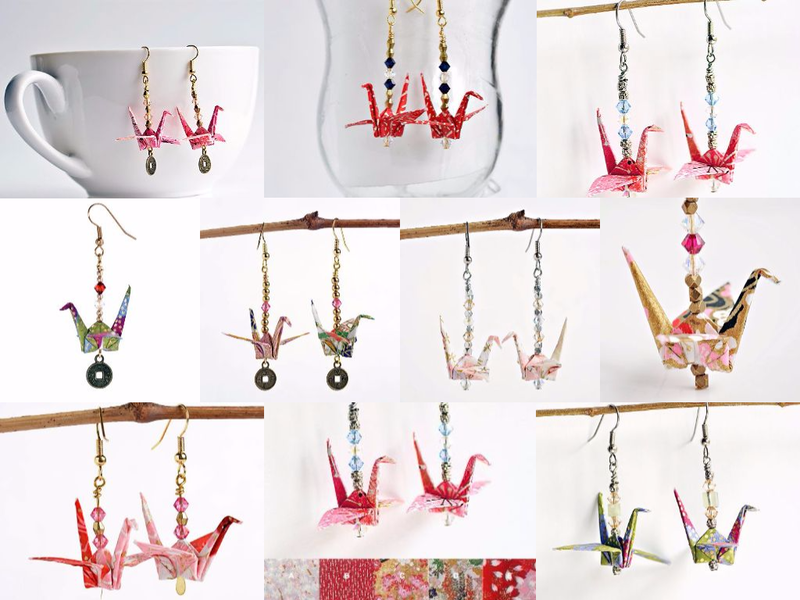 My nine pairs of pink earrings are each unique and come in shades ranging from pale pink to deep fuchsia. These are popular gifts for teen girls on their birthdays or for Christmas. Don’t forget the option to create a custom pair! These six pairs of purple earrings show the range of colors we call “purple.” Purple earrings are a great choice for spring, including Mother’s Day. My custom option will help you create the perfect gift. I created eight pairs of cream and gold earrings. Their “neutral” tones make them a go-to choice for any outfit. 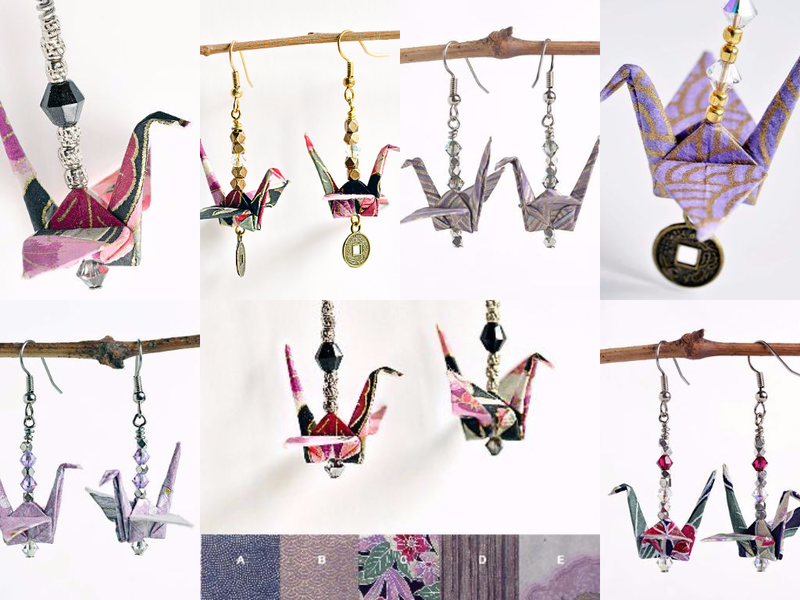 Have I mentioned that origami earrings make a perfect First Anniversary gift? Paper gifts are the preferred choice. Choose from any of my six color collections, and don’t forget the option to create a custom pair. 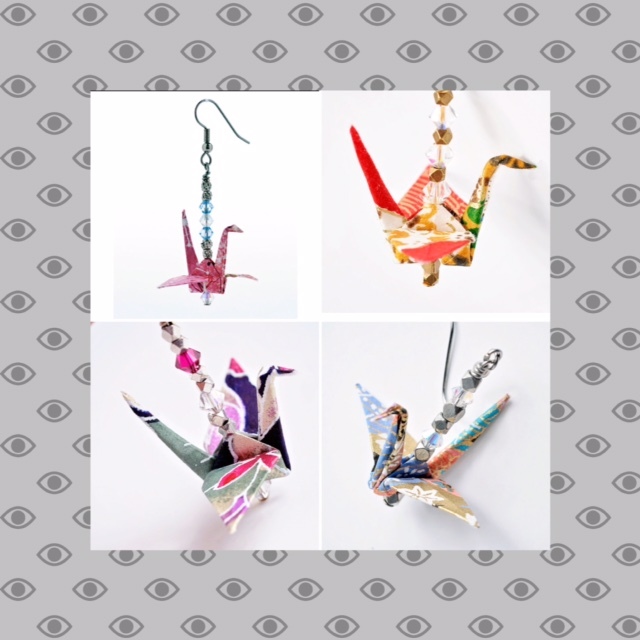 Enjoy shopping my Etsy store for these earrings and other paper art products. I hope to see you at my last show for 2017. Stay tuned as I develop my 2018 schedule of art shows.